A cult not a church. The ‘queen’ of Scientology may never be freed from the Church, despite fierce rumours she’s being forced to stay, her father-in-law claims. Ron Miscavige, father of Scientology figurehead David Miscavige, believes the fact his daughter-in-law Shelly Miscavige hasn’t been seen by the public in more than a decade is a reflection of the Church’s lack of ‘conscience’. In an explosive interview with 60 Minutes on Sunday night, the ‘disgraced’ former Scientologist says he may be unsure of Shelly’s whereabouts forever. Ron joined the Church of Scientology in 1970 and worked in the Sea Org – the Church’s inner-core – for 27 years. 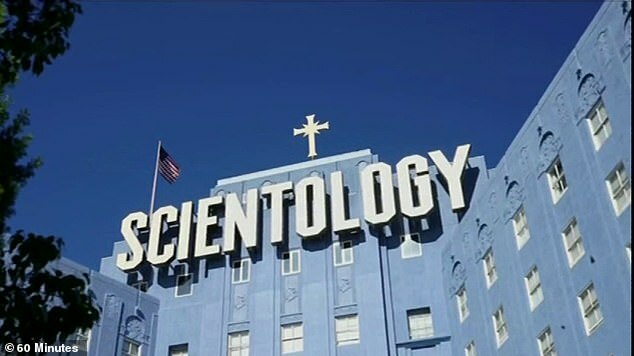 He famously left the Church in 2012 and was immediately shunned by his son, who assumed the Church’s top leadership position in 1986 after its founder, L. Ron Hubbard, died. David was groomed as the Hubbard’s successor for years, first working directly under him in 1979. But always by his side was fellow Church devotee and wife, Shelly. Shelly and David were inseparable, actress and former Church member Leah Remini said. So, she was generally confused when Shelly failed to make an appearance at Tom Cruise’s wedding in 2007 – touted as the Scientology event of the century.